"FuTimReilly" was a big winner on Mar. 10, chopping the Natural8 SUnday Blade $10K for $122,954. Some big prizes were awarded this weekend with the high roller action once again taking place at Natural8. Let’s check it this week’s mammoth-sized hauls with PokerStars up first, followed by partypoker, 888poker, and Natural8. The cut price PokerStars Sunday Million continues to be popular with 10,469 players turning out for it this week, creating a $1,046,900 prize pool as a result, impressive for a $109 buy-in tournament. 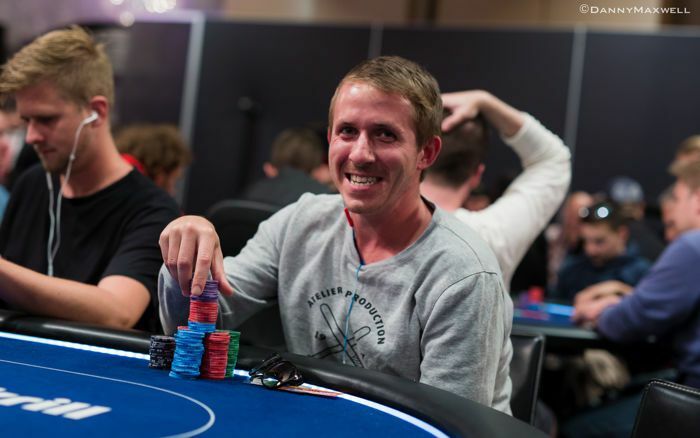 That $109 investment was worth $7,808 by the time the nine-handed final table was reached and was the prize awarded to ninth-place finisher “Donborno3250” of Denmark. United Kingdom’s “Bluestarze” was the first player to lock up a five-figure prize, their eighth-place finish awarding them $10,860 and the prize money increased rapidly from that point onwards. 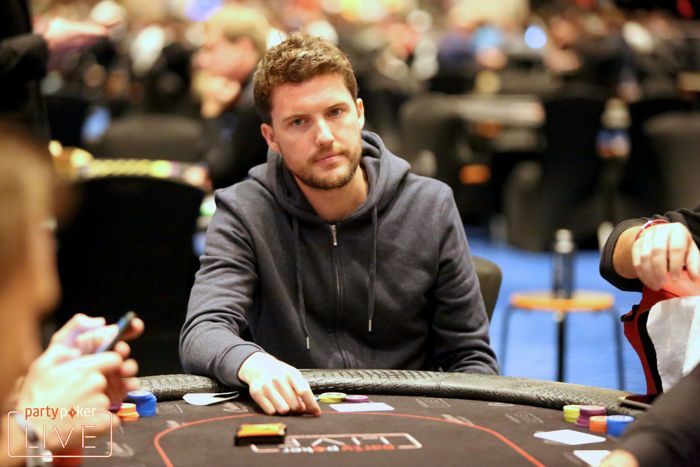 “Gyony77nyc” busted in seventh-place for $15,105 with Niklas “Kley” Kley turning their $109 into $21,008 follo0wing his exit in sixth-place. Russian grinder “Kazeev S.S” fell in fifth-place and locked up a cool $29,218 before the first of two Brazilians at the final table, “Iforoni” saw their tournament come to an abrupt end in fourth-place for $40,637. Combes, who has several major online titles to his name, including the Super Tuesday, fell in second-place but not before striking a deal that saw him bank $83,813, leaving the Lithuanian to walk away with a massive $104,126 and the title of Sunday Million champion. Sweden’s “anteen” was another player who won big this Sunday thanks to outlasting a star-studded field of 112 players in the $2,100 Sunday High Roller. What made the Swede’s victory all the more impressive was they managed it on their one bullet, despite several other players firing three $2,100 shots at the prize pool. Again, the final table was a who’s who of online poker with Artem “veeea” Vezhenkov being the first player to fall at the nine-handed final table. Moldova’s “silentm0de” crashed out in eighth-place with Dominik “Bounatirou” Nitsche exiting in seventh-place for the second week running, this one worth $10,593. Any of the final six players would have been a worthy champion, but tournament poker only allows for one winner. Laszlo “omaha4rollz” Bujtas collected $13,793 for his sixth-place finish, “CrazyLissy” of Russia fell short and busted in fifth-place for $17,959 while Kristen “krissyb24” Bicknell turned her $2,100 into $23,384. 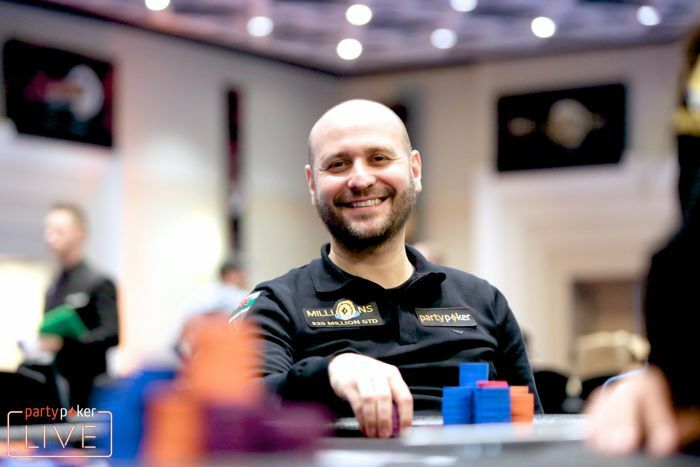 Luke “Bit2Easy” Reeves fired three bullets and turned those into $30,447, leaving Ivan “Negriin” Luca and “anteen” to battle for the lion’s share of the prize pool. It was a fight the Swede went on to win, securing the $51,617 top prize and resigning Luca to a $39,643 consolation prize. Over at partypoker, Moldovan pro “nipa3p3” walked away $61,307 richer thanks to taking down the $250,000 guaranteed Sunday High Roller Gladiator tournament. Some 123-players bought in for $2,100 and saw the guarantee surpassed by $2,150. There were plenty of big names at the final table, as you would expect from such a high buy-in affair. “Rudiqa1” of Latvia was the final table’s first casualty, their eighth-place was worth $15,848 when bounties were taken into consideration. “Chelsea72” is a regular in partypoker’s bigger buy-in tournaments, and they fell in seventh-place for $10,605 before “IamPEAKing” of Costa Rica busted in sixth-place for a $7,137 haul. Fifth-place and $9,646 went to “dean23price” before Finland’s Samuel “JHelppi” Vousden crashed out in fourth-spot for a $22,597 addition to his bankroll. Vousden was joined on the sidelines by “onehundredeyes” who scored a $26,408 prize, which set up a one-on-one encounter between UK-based Belgian Thomas “chaAt” Boivin and nipa3p3. Boivin busted in second-place for $28,841, leaving nipa3p3 to bank $61,307. 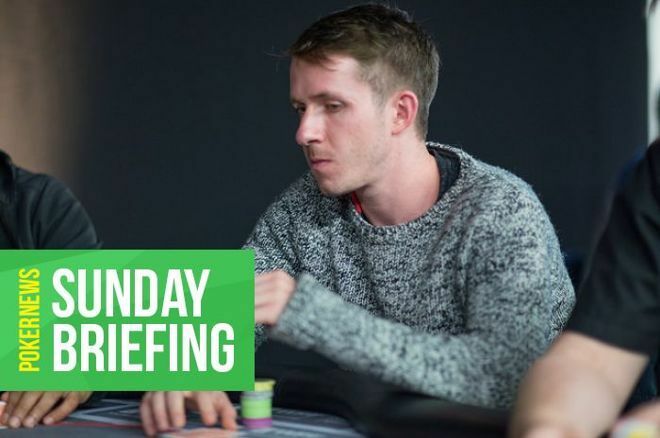 Three players from the United Kingdom reached the eight-handed final table of the Sunday High Roller Deepstack, a $200,000 guaranteed affair that saw 203 players buy in for $1,050. 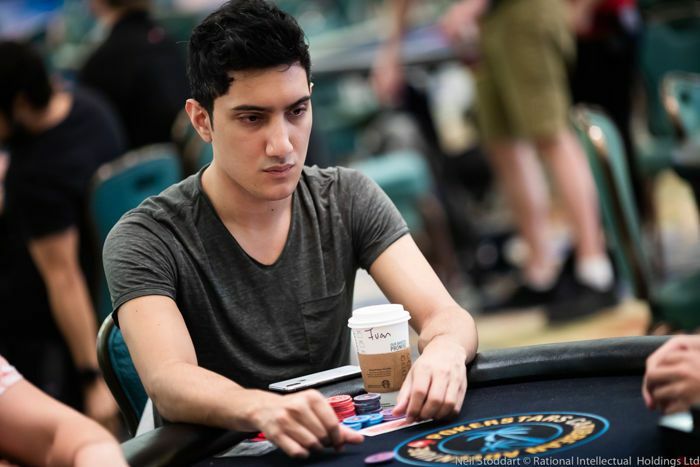 Team partypoker’s Roberto “WelshWizard” Romanello was the first of the British trio to bust from this event, eventually falling in fifth-place for $11,165; Romanello was the first player in the tournament to win a five-figure score. Russia pair “justkot” and “aLiNeNok1617” then fell in fourth and third-place respectively, turning their $1,050 investments into $15,834 and $21,416, leaving a British duo as the last two players standings. “BigPescado69” and “CardiffPhil” fought one-on-one for the title and it was the latter who emerged victorious, banking a cool $41,391 and leaving the runner-up to collect a still welcomed $30,044. Now to 888poker where “DeuceofDuc0” finished on top of a 510-strong field in the $100,000 Mega Deep, a finish worth $19,737. Everyone at the nine-handed final table was guaranteed at least $1,785, the sum Tim “REALTTWIST” Kelly walked away with. Kelly was joined in the showers by “LucySagara70”, “Lik3az0mbY”, last week’s champion “DubaiPrince4” and “nitGMmator”, the latter scooping $5,814. A prize weighing in at $8,415 was awarded to Brazil’s “ivanlimeira” when they fell in fourth-place, and the first five-figure prize went to “komarolo222” of Uruguay who busted in third-place for $11,220. DeuceofDuc0 defeated Germany’s “Barkley83” heads-up for the title, leaving the German to collect $14,790. After reaching the final table of the $100,000 Mega Deep, Canada’s Tim “REALTTWIST” Kelly navigated his way to a second-place finish in the $50,000 Sunday Whale. Only six of the 55 starters received prize money, “wisimaki” being the first player to bust inside the money, so a $3,245 haul was theirs. Malta-based pro “Farrugia_1” has enjoyed many big results at 888poker and added $4,425 to their winnings there courtesy of a fifth-place finish, while Simon “IggyGak” Pedersen turned their $1,050 into $5,900 after falling in fourth-place. Ukrainian superstar Roman “Romeopro33” Romanovskiy collected the $8,850 third-place prize, with Kelly banking $14,750 for his runner-up finish. This meant the champion, “tmurdah” secured a $21,830 prize for being the last player standing. “FuTimReilly” of Austria helped themselves to a $122,954 prize by winning the Natural 8 Sunday Blade $10K on Mar. 10. It was a $10,000 tournament that saw 38 entries and a $368,600 prize pool that was shared among the top five finishers. Thailand’s “ImLividBuddy” burst the money bubble, paving the way for “SasukeUchina” to bank the $23,169 fifth-place prize. He was joined on the sidelines by “AceKing41” who collected $36,808 only a week after finishing second in this event for $83,125. Third-place went to “NONAMES” of Mexico, a finish worth $58,478 which left FuTim Reilly and Canada’s “Shark Bait” to lock horns heads-up. The heads-up duo struck a deal for the remaining prize pool that saw Shark bait walk away with $127,189, slightly more than the $122,954 the champion FuTimRielly secured. This weekend’s Sunday Blade $5K was another tournament at Natural8 to smash it’s guarantee thanks to 55 players creating a $261,250 prize pool shared among the top seven finishers. A min-cash weighed in at $10,844, the prize gifted to “carsonwentz” for his seventh-place finish. A larger $15,021 is now nestled in the Natural8 account of “0milly” of the United Kingdom after they busted in sixth-place, while “baita” of Brazil took home $20,809 for their fifth-place bust out. Representing Costa Rica was “TexasPete” whose tournament ended in fourth-place, a finish worth $28,825 before “NONAMES”, fresh from a $58,478 cash in the Sunday Blade $10K, dusted off their stack in third-place for an additional $39,930. There was no heads-up deal despite a near $35,000 difference between first and second-place. This meant when Dutch player “ExclusiveA” fell in second-place, they banked $55,312 leaving “ImLividBuddy” to scoop the $90,506 top prize.